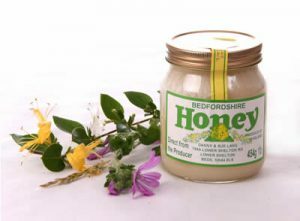 Honey is a fantastic product, nutritious and medicinal. And cheese, we now have more varieties than the French! Watch out though, honey bee numbers are on the decline all over the world and farm dairies are closing, very unlikely to open again. First honey; a natural, tasty and amazing product. Did you know that the average bee makes only 1/12 of a teaspoon of honey in its lifetime and bees have to fly around 55,000 miles to make 1lb of honey. Anyone who eats honey or leaves it on the side of the plate should know these facts! Or for your local supplier type your post code in here, or buy online in the BigBarn MarketPlace. Cheese; with milk cheaper than water in some shops, the poor old cow is a bit like the bee; doing loads of work for us ungrateful humans. With the price of milk so low many dairy farmers have either had to, close, get much bigger to achieve economies of scale or add value by making their milk in to cheese or ice cream. Lucky for us (with the help of grant money in some cases) many farmers have started making proper cheese with great results. So look out for great local cheese, yoghurt and ice cream using our local food map or buy cheese online from our range of producers and shops here.